A bill that would increase the number of juvenile court judges in Omaha by one was advanced from select file March 16. 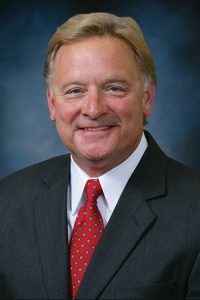 LB10, introduced by Omaha Sen. Bob Krist, initially would have added one juvenile court judge in counties with populations of at least 400,000 people. Douglas County currently is the only county to qualify. A Judiciary Committee amendment adopted on general file had increased the number of additional judges to two. Krist introduced an amendment on select file, however, that reduced the number of additional judges back to one, citing the state’s current budget concerns. Senators adopted the Krist amendment 39-1 and advanced the bill to final reading by voice vote.